Hey, Hawaii Drivers – Where’s the Aloha?! Where’s the Aloha when driving in Hawaii? That’s what some people want to know after a recent “study” was released determining which states experienced the most incidents of road rage. Guess what? Hawaii ranked the worst. Yep, even in paradise, people get hoppin’ mad, especially when driving! Looks like the rise of social media has given motorists new ways to vent their driving-related frustrations: The Auto Insurance Center recently analyzed 65,535 Instagram posts hashtagged #RoadRage to find out where, when, and why American drivers are feeling most aggravated. KHON reports that, according to the organization’s analysis, Hawaii ranked number-one of all U.S. states that feel the burn behind the wheel — by a mile. In fact, the television station reports that the center logged 5,872 posts per 100,000 drivers in Hawaii. Compare that to California, which came in second with a ratio of just 3,506 posts per 100,000 drivers. In Honolulu, traffic can back-up anytime, but it's especially heavy in the mornings and evenings. 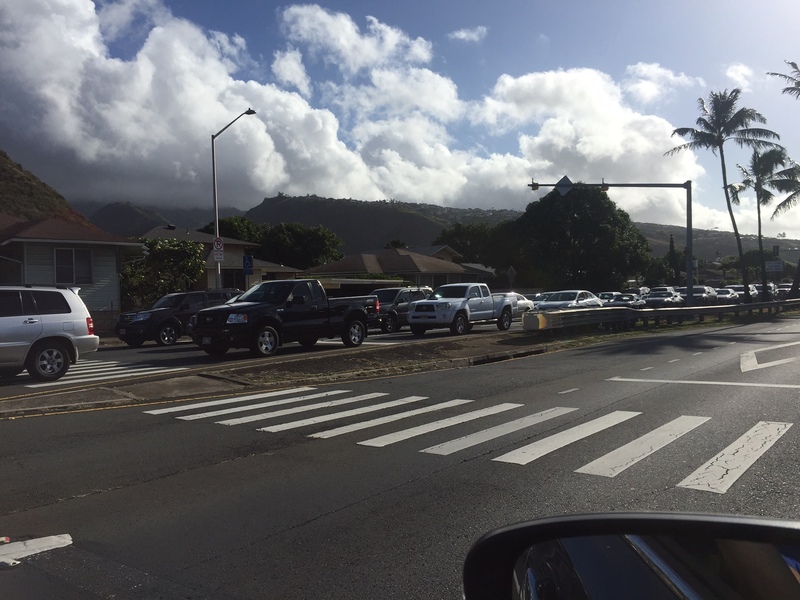 Here, you see traffic backed-up along Kalanianaole Highway during the morning commute. Instagram results also put Honolulu 22nd out of 24 U.S. cities where motorists feel the most road rage, the center says. That’s better than Los Angeles and New York City but worse than Portland, Oregon, and Scottsdale, Arizona. The survey “reveals the states whose residents are most prone to becoming enraged while they drive,” according to Auto Insurance Center, which understandably has a vested interest in vehicular crashes. Or MAYBE, we’re all in a hurry to get to the beach! According to the report, nationally, August is the worst month for road rage, Friday the worst day and 6 p.m. the worst time. And, get this: Sunday sees the fewest posts on average, and the #RoadRage messages increase steadily as the week goes on. Road rage mentions peak on Friday, with nearly 10,500 posts on average, before dropping sharply on Saturday. 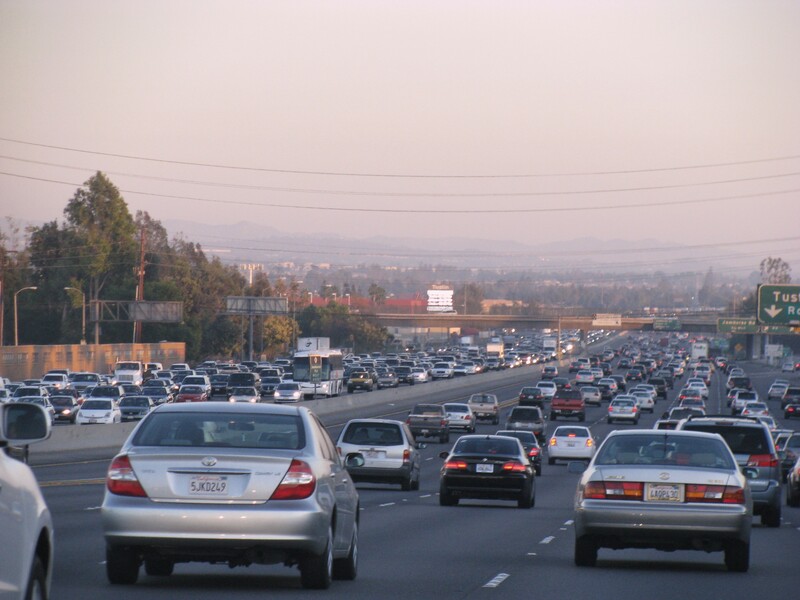 California traffic is some of the worst traffic in the nation. Yet, Hawaii still "beat" it out and took the top spot when it comes to road rage. But, here are some tips to help, according to the report’s authors: Allow for extra time in case you run into delays, adjust your schedule to avoid driving through the worst traffic, and listen to music while you drive. If you start to feel angry, it’s vital to relax, breathe deeply, and consider taking a break to stretch your legs or sip some water. OR better yet, if you’re concerned about driving in Hawaii, don’t drive at all. Hawaii Aloha Travel’s Hawaii Activities page has tons of ideas for excursions, and nearly all of them include hotel pick-up. And Hawaii Jeep Tours takes all the stress out of driving, since you get a personalized tour in one of our customized Jeeps. To view the Auto Insurance Center report, click here.